Successful site closure requires a professional environmental team with diverse talents focused on the needs of the client. TechSolve has a proven ability to successfully conduct efficient investigations and implement practical solutions for remediation of contaminated sites. 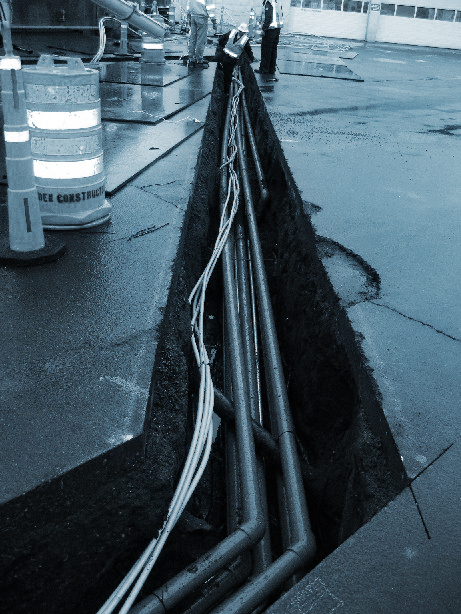 Our approach to all projects involves the same degree of technical defensibility and project management accountability, whether it involves a single underground storage tank or a multi-million dollar remediation project. Our ongoing success in conducting investigations and remediation is based on many years of experience with a variety of site conditions and technologies. Following are a few examples of our remediation projects. • For over twelve years, TechSolve staff members have been providing ongoing environmental services to address petroleum and metal contamination at an operational petroleum tank farm Superfund site in Seattle, Washington. • Investigations have been completed for groundwater, surface water, sediment, and soil. • Remedial actions include product recovery, soil excavation, natural attenuation, soil vapor extraction, and air sparging. • Investigation activities, public relations activities, and agency negotiations saved approximately $5 million in cleanup costs. • Remedial activities included extraction and treatment of groundwater and product, reinjection of nutrient-enhanced groundwater to promote in situ biodegradation, soil flushing, soil excavation, and land treatment of soils. • Conducted investigation of soil and groundwater impacts from leaking underground storage tank site. • Conducted remedial actions, including soil excavation, soil vapor extraction and groundwater monitoring. • Remedial actions reduced contaminant concentrations at relatively low cost to the client and with minimal impacts on current site activities. • Obtained “no further action” determination from Department of Ecology.